Today, I’m going to speak with you about one of the most important copywriting techniques you’ll ever learn. This is a continuation of Part I in the Cats & Copy series. Today we progress to Part II. When you’re finished, you’re encouraged to read part III. You can navigate here to read this article now. I’d recommend reading that prior to diving into this one, since this article builds on the last (and all future Cats & Copy renditions). 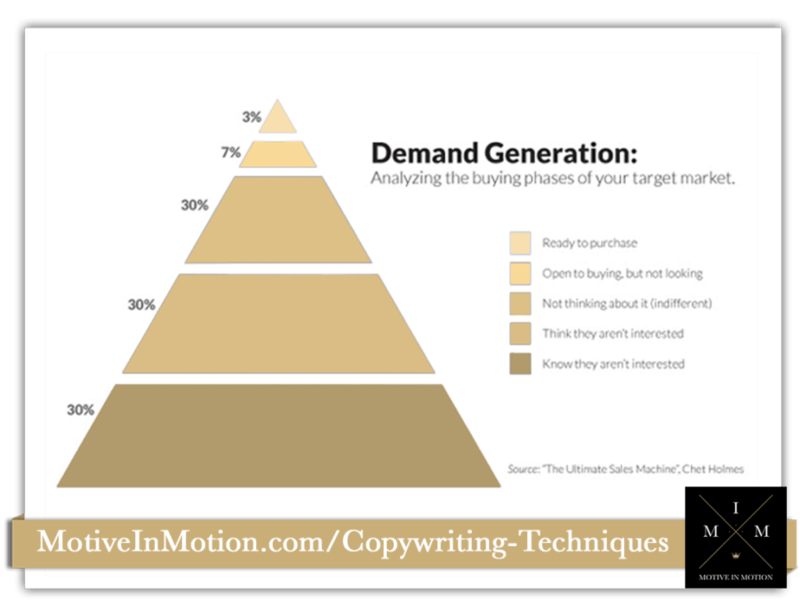 There are important pieces in it that ensure you’re learning your marketing from a top-down approach. It inevitably results in a massive loss of money on the table. Not to mention a gargantuan waste of time and prolonging of your learning curve. Go read this first article before you move ahead in this one. There’s something we need to cover, so that you understand what mainstream and highly successful, underground marketers alike, are approaching you with. This goes far before learning the best copywriting techniques in the world, or dialing the perfect online or offline advertisement, or even the technical jargon of setting up websites and hosting. This is something (of many) you need to learn, prior to getting your message out in front of others. Looking back, I would’ve loved to know it before I started too, but we’re all on the journey of discovery here, eh? So what is that extremely important lesson in the wide world of business? Especially if you’ve got deeper, more nuanced content. If you’re selling some of the hardest stuff to sell, like “confidence”, “life path clarity”, or “mindset”… You’ve often got to meet them at a more impulsive, primal level. Do you remember the saying “sell them what they want; deliver what they need”? Because this translates not only into how, where, and when you market to these people, but also what you say, or what copywriting techniques you use. Everybody has an intent when they’re looking for answers. What is business really, but a competition for solving the customer’s problems in the highest and best way? They are searching for exactly what they want at that moment. They know what they’re looking for usually, but have no idea how to get it. Do Consumers Really Know Exactly What They’re Looking for, Or Do They Only Know the Effect of Their Real Issue? Here’s the thing about me. I’m of the class that assumes customers and clients know what they’re feeling and are usually in touch with their pains and desires in the market. But I don’t buy for a second that they regularly know why they’re seeking these answers. What I see constantly is a customer or client experiencing a very real, very pressing issue, usually without knowing its cause. Everything in our world is a cause and effect. See A, try B, get C.
… these are not by accident or simple chance. So when clients come to the market with a pain they want to solve, or something successful that they want to 10x, they don’t know what to do. They know what they want (or they think they do, rather). However, they don’t recognize there are always deeper levels of mindset, emotional control, proper action and work, and strategy that need handling first. Three marketers that have mastered these concepts are Tai Lopez, Tony Robbins, and Owen Cook from Real Social Dynamics. Tai brings you into success and financial success by leading with cars, women, and luxury travel. Tony brings you into personal power and fulfillment by leading with consistent and stable happiness and wealth strategies. Owen brings you into spiritual and mental development by leading with teaching guys how to get massive success with women and conquer their fears. Now listen, to be clear, I couldn’t care less what you might think about any of these marketers. To notice people who are getting serious results in their chosen field endeavors, and to still turn your head out of pride is foolish. You don’t have to follow anybody’s content that you don’t jive with; know that. But wherever you might be in life, you can do yourself a favor by gifting yourself with an open and curious mind to certain people’s approaches to getting results. The important thing here, is to note that the topics they share are by no means the end of their message; in fact they’re a means to an end. These introductory areas are just where they establish a reference point, or a middle ground with their intended audiences. Do they want to help people by the millions? Yes. Do they also want to make a massive profit and have a hell of a time? Yes. But how on earth can they start getting into the meat and potatoes of their message, so both of those aims get accomplished? They start where people are and speak to their primal nature. They’ve been brewing for some time now. However, they were quickly reinforced when I recognized that this cat was extremely scared and vulnerable. She simply would NOT put up with anything less than food, shelter, and comfort during the initial moment and state in which I found her. She was incessantly meow’ing until I went out to find some water and milk, and helped her warm up and relax a bit. This is when it hit me that you must always, as a successful entrepreneur, focus on the exact thing your target wants at the time you find them. Similar to the cat, they’re in dire straights, and they need your knowledge, experience, and guidance right now! Not tomorrow, not in five minutes but NOW! Another hint about humans is that they want quick results, and they need to treat first things first. 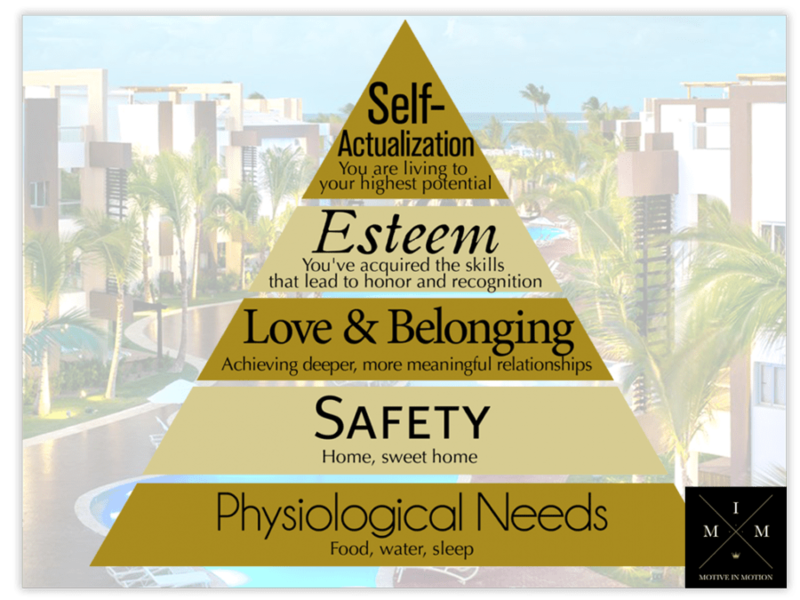 I’m sure you’ve heard of Maslow’s Hierarchy of Needs? So this is what your marketing materials, copywriting techniques, advertising campaigns, brand content, and social media all need to be geared towards. Of course, this all needs to still be wrapped and framed in classic Direct Response style. You do this so you can actually deliver upon the value they’re expecting, with superior products and services that fix their problems and help them achieve their chief aims, with ease. You do this with primary copywriting techniques, advertising strategies, and proper branded imagery that all get them to do what you want them to, for their own benefit. How Are the Aforementioned Marketers Applying These Business & Copywriting Techniques to Achieve The Dual Aims of Value for Profit & Win-Win Scenarios? Slowly. Efficiently. Measured, and patiently. Gradually, through their killer content, painful/shocking upset messages, tying in cross-references, framing and re-framing, authority positioning, social proof and influence. They use many more advanced tactics to bring you in, and then they lead you to juicier and juicier content and products that get you real fundamental change in your life. But not a moment before you’re ready. Every time I’ve written copy that fails, you can bet I was breaking one of these two laws, reinforced by this newfound kitty. Every time I wrote a piece that generated massive results for my clients, I was matching up with the prospect’s true nature, and seeing things from a starkly realistic viewpoint. I met them in their current problems and belief sets, then brought them through to a solution, with effective copywriting techniques such as proper positioning, marketing angles, imagery, and future-framing. It’s vitally important to begin with a string of ‘YES’s. For instance, if the first thing you say in your copy doesn’t jive with where the prospect is in their head, good luck getting them to read another sentence. Always enter the conversation already taking place in the customer’s mind. This is the bulk of the importance of your headline on your ad, direct mailer, or sometimes even the outside of the envelope. Otherwise, they glide past your offer and you never hear from them again. And that is a sad, unnecessary way to lose leads, sales, and customers (especially if you’re paying to acquire your customers). Now, you won’t be targeting everybody, and you won’t be interesting to everybody, and that’s the point! You want your messaging to get in front of only the right people who are likely to respond to it! That’s the whole purpose of Direct Response. One of the best books on sales and marketing was written by Chet Holmes. It’s called the Ultimate Sales Machine and really anybody in business needs to pick up a copy. In this revolutionary book, Chet explains a concept about the actual current demand for your products or services. It’s an excellent benchmark you can rely on across industries, business models, and at any one time (on average). You really need to keep these three kill-or-be-killed points in mind when doing all advertising, all marketing, and all branding. Also remember who you’re targeting, speaking to, and helping with your specific copywriting techniques and tactics. These all should fit into a grander strategy that you’ve drafted for your business. Keep these guiding reference points in mind when finding your ideal prospects through marketing. Remember them, when converting them with your brand story, and continuing to build value in their lives with your products and services. This is the way to build a business that lasts, connects with your customers, and delivers on all the tangible change and value you’re marketing. 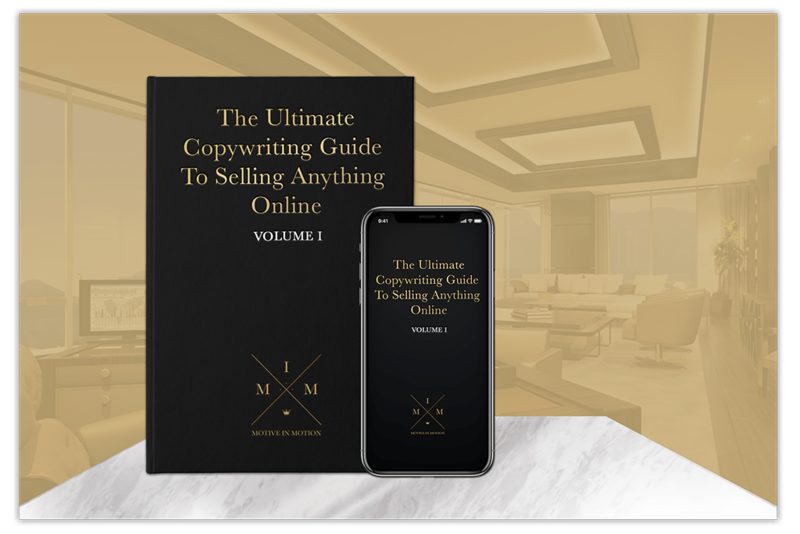 Then you need to check out The Ultimate Copywriting Guide to Selling Anything Online. It shows you step by step how to choose your targets and speak to them in their specific market language. Don’t be fooled; this is a skill that’s learned, not something that comes naturally.